One of the popular countertops in the market are none other engineered quartz countertops. They give homeowners a more luxurious look in areas such as bathroom and kitchen. Made uniquely, these countertops in Dallas are so distinctive. And unlike natural stones, quartz countertops are made from quartz crystals bonded together using a resin binder. Interestingly, they offer the same aesthetic appeal as granite and marble. But what exactly do you get from installing engineered quartz countertops in Dallas? Are they even worthy? Read on to fully understand this countertop material! 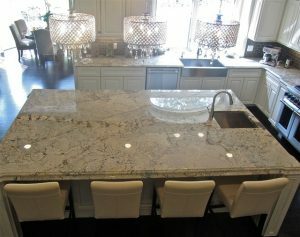 Dallas’ engineered Quartz countertops do not only look great, they are also easy to clean with. Whether it is a huge spill or everyday dirt, there is no cleaning method this countertop cannot work with. As a matter of fact, you can use a mild soap and water and still expect the desired result. Though it may still require a certain type of maintenance to remain clean, it is highly capable of preventing bacteria build-up. This is really beneficial especially if you prepare food on the countertop or eat food there. Contrary to popular belief, engineered quartz actually has the exact same durability as other natural stone countertops such as granite. More importantly, it is much more flexible; hence it does not chip or split easily. When you have a countertop that is durable and beautiful, you know that you are getting your money’s worth. Believe it or not, this is thanks to engineered quartz being nonporous. It is not susceptible to staining caused by wine, juice, oil, and other substances. Although these countertops can withstand these substances, it is still best to maintain proper care and maintenance. A simple daily wipe down is enough to keep these engineered countertops clean and beautiful. Still, at the end of the day, you are assured of its ability to withstand stains. 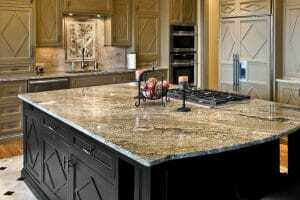 Are you in the market for engineered quartz countertops in Dallas? Call us at Hard Rock Imports now! We would like to set you up an appointment and help you with your upcoming project. We are just a phone call away!